The Shanghai No. 5 Bus Co said it was forced into making changes on some of the bus routes because of traffic jams caused by a night market. The market is illegal but it is so popular that it has become a sort of an icon for the Pengpu area and even the district. 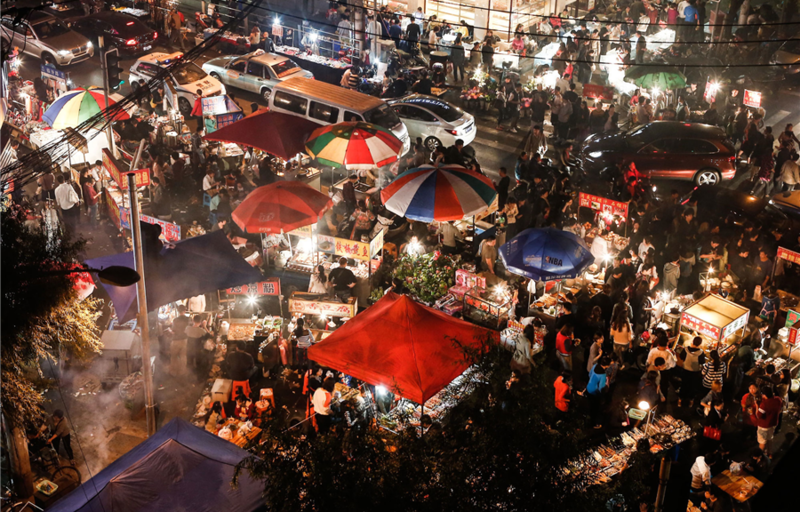 The Zhabei District government, however, has been unable to drive away the vendors because of the market’s popularity with the locals as well as tourists. Eight bus lines, including the No. 206, 951 and 912, will make detours from the Wenxi and Linfen roads after 8pm to avoid the congestion created by the Pengpu Night Market. A district government official said that as the number of stalls increased day by day, it became more and more difficult for government agencies to uproot it from the neighborhood. There are some 400 stalls set up along the 1,000-meter-long section on Linfen Road. A large crowd meanders along the way till way past midnight everyday.